You usually meet HR people twice; first when you are hired and then when you are leaving. 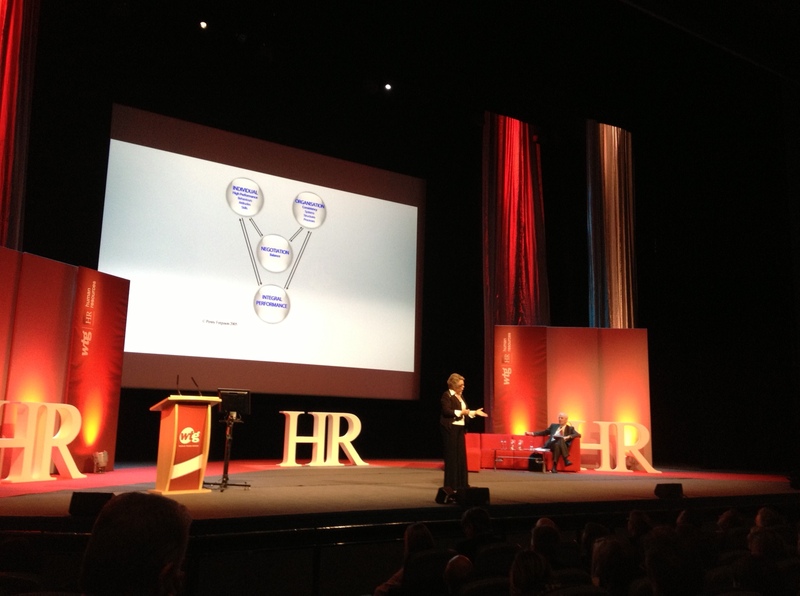 I had the chance to meet a full delegation of HR Directors this week, whilst covering one of the biggest HR Events in Europe: HREvent13. Everything started with an early morning, catching the 5:30am train to Birmingham. Then walking the icy streets without falling, making it to the ICC where the 11th Annual HR Directors Business Summit was taking place. There is big machine running behind a Human Resources department and a two day event was going to draw attention to the main pillars supporting the industry of getting the right people in the right places. It involves changes, decisions, cultural shifts, psychology, innovation, performance, strategy, self believe, benefits, software and so on. I will tell you some highlights; nevertheless there were many interesting stories on stage and in the corridors. The higher the pressure of a situation, the easier it is to make decisions. We always have a way of doing things, but ask yourself – is it the best way? Performance will drop if you change too much. It’s not what you do; it’s what you think. Understand the pressure and don´t fear failure. If you fail, you will only have more to do. Be concerned with people’s welfare. Pay attention to the small details, make sure you know people’s names. Human beings are laughers, have a sense of humor. Be humble and open about what you do wrong. It’s good not to be thanked as many times as you think you should. The program kept running and we kept moving along the conference rooms. I then joined “A guide to working the way you want” it sounded like the title for a best seller, instead Richard Peers, Head of HR at Vodafone, showed us how a company that sells its customers mobility, embraces the same principles. Vodafone’s head office at Maastricht, a city in The Netherlands, enables their employees to work whenever and wherever they like. In this building they replaced fixed workstation for multifunctional rooms, so you don’t have the same desk every day. 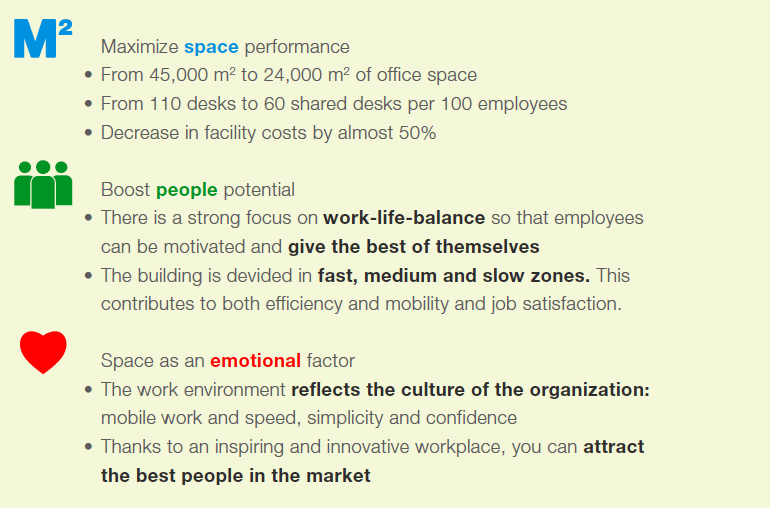 The concept is called mobile working which brings into practice what Vodafone stands for: simplicity, speed and trust. You can work surrounded by a library, by a forest, get a coffee and then move to another room and ask for feedback in an informal meeting. Then we went for a lunch break, I think we deserve one here as well. See you shortly. hello!,I really like your writing very a lot! share we be in contact more approximately your post on AOL? I need an expert in this space to unravel my problem. May be that is you! Looking ahead to peer you. I have been exploring for a little for any high quality articles or weblog posts in this kind of area . Exploring in Yahoo I finally stumbled upon this site. Reading this information So i’m satisfied to show that I’ve an incredibly just right uncanny feeling I discovered just what I needed. I such a lot without a doubt will make sure to don?t forget this site and give it a glance a relentless basis|regularly}. Thank you very much! I’m so glad you found this post helpful. I will keep it up!